This is Goosey also known as GooseyHX I will be doing game reviews now here is how i will be rating the game. There will be 5 sections each section will be worth 10 points with a total of 50. 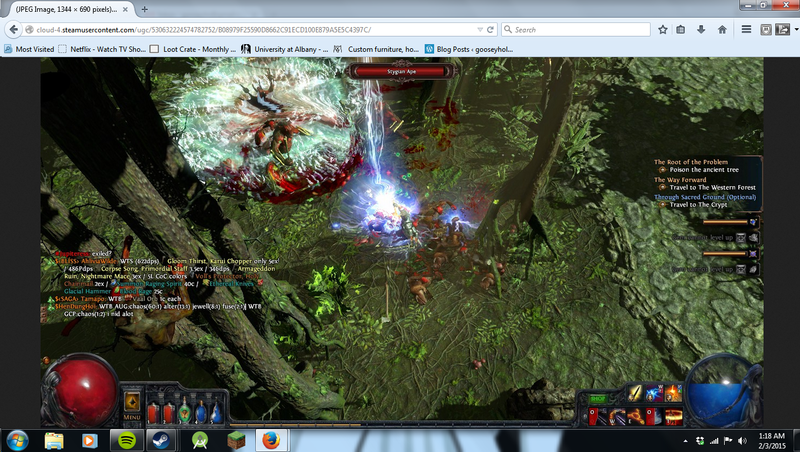 Now The first game i will be reviewing is Path of Exile. Now first Path of Exile is only on Steam (as far as i know) so that means its only on PC. Next you have to have Internet to play it. This game is an RPG with the biggest known skill tree that i have ever seen. 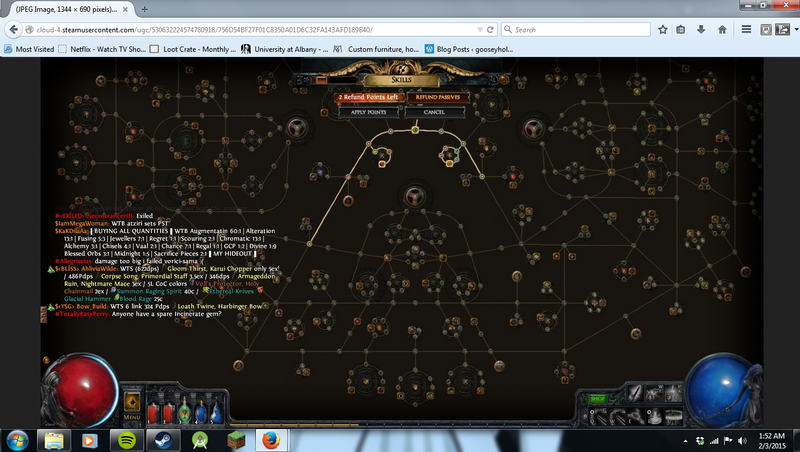 This skill tree has a different start point for each Character. The music fits the dark manner of the game and each Character has its own voice that talks differently based on there personality. and when you complete the game guess what you can play through the game again! Also if you play through the game again and again you you can also do pvp or Player vs player so you can play against others online you can create characters specifically for pvp they even have different game modes from 6v6 3v3 capture the flag and more are being released as the game continues. Ok something else i should have mentioned that can change the game for you This Game is FREE to Play! yes thats right the game is free just download it and away you go. Here is the thing though you can open the micro transaction menu where you can buy extra things for your characters. Now this isn’t like a facebook or phone game you cant pay to level up or anything like that this is for like character skins like a flaming skull for a head and know matter what you equip for armor it will still look the same also different weapon skins so it looks like your weapon is on fire. Also you can get a companion that will follow you around like a bear cub. – offers the biggest skill tree and has a refined and unique style but because of the requirements of game not everyone will be able to play it. If you are able to play the game and love RPGs i guarantee that you will love it also its free.